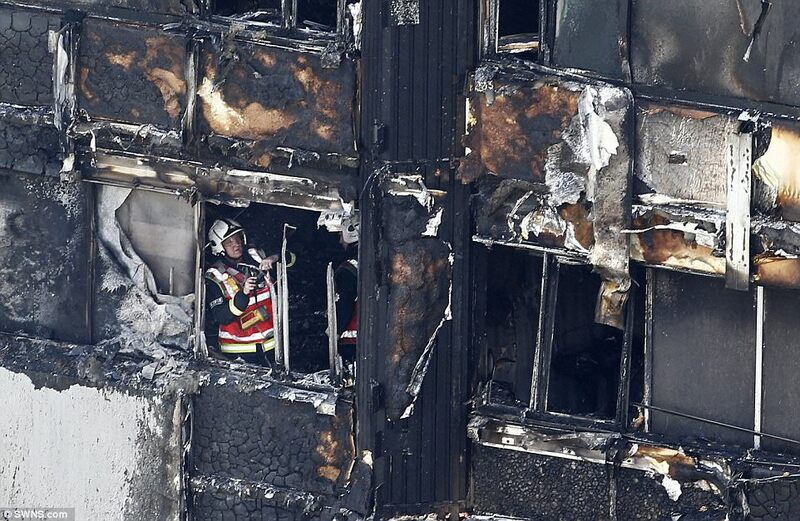 A deadly overnight fire engulfed a 27-story London apartment building Wednesday killing at least 12 people and injuring more than 74 others with the death toll expected to rise. 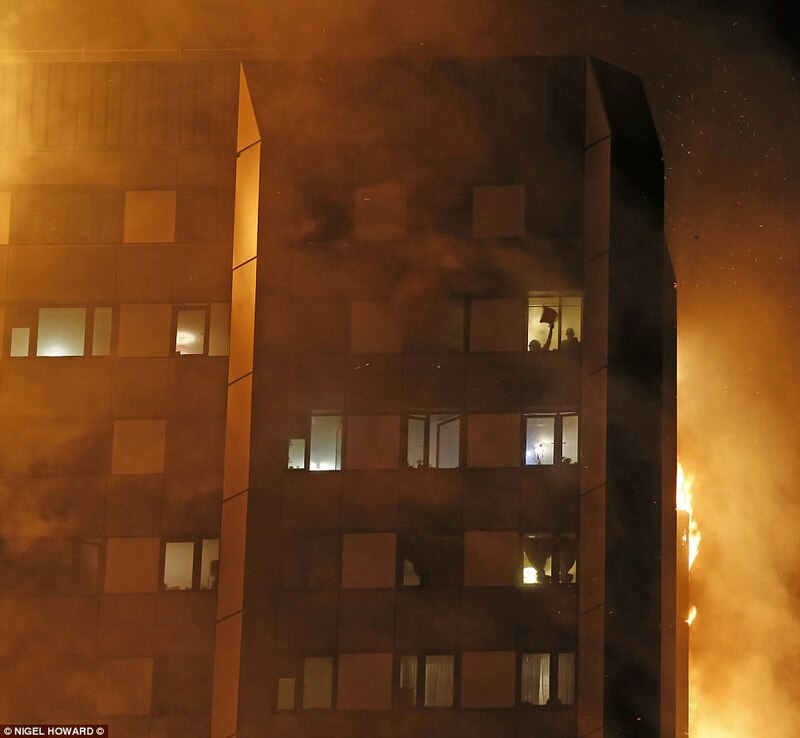 More than 200 firefighters battled the inferno, which officials called an “unprecedented incident,” Fox News reports. 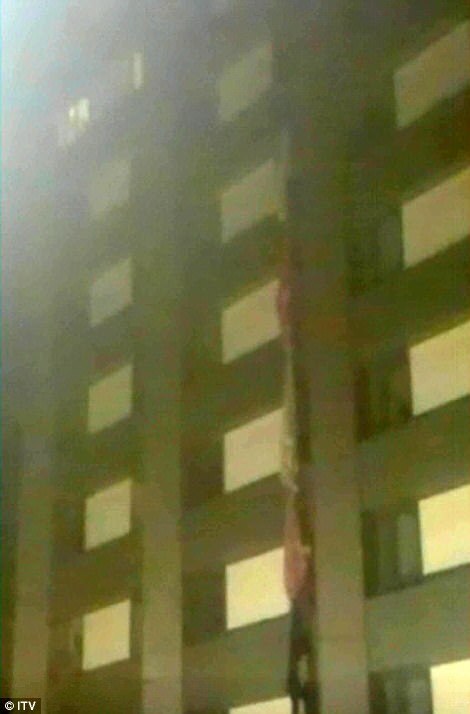 Witnesses reported seeing residents throwing babies and small children from high windows to people on the sidewalk in a desperate effort to save them from the flames. 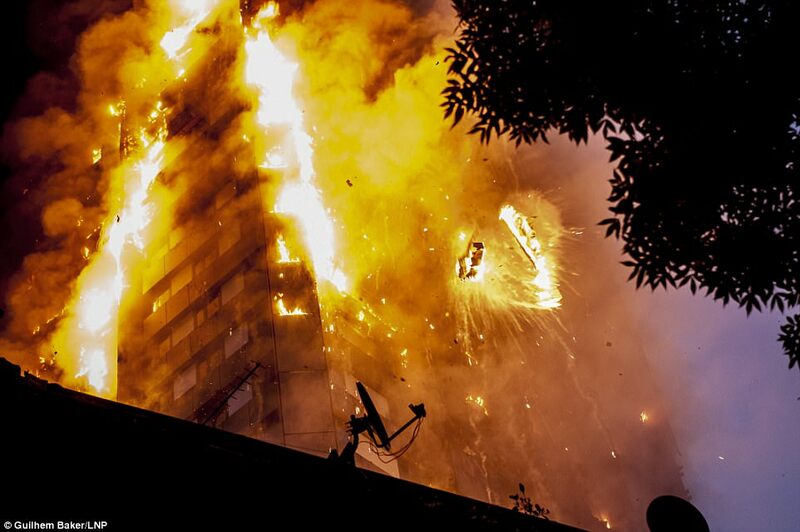 Jody Martin told the BBC she watched desperate residents of the building trying to escape the blaze. 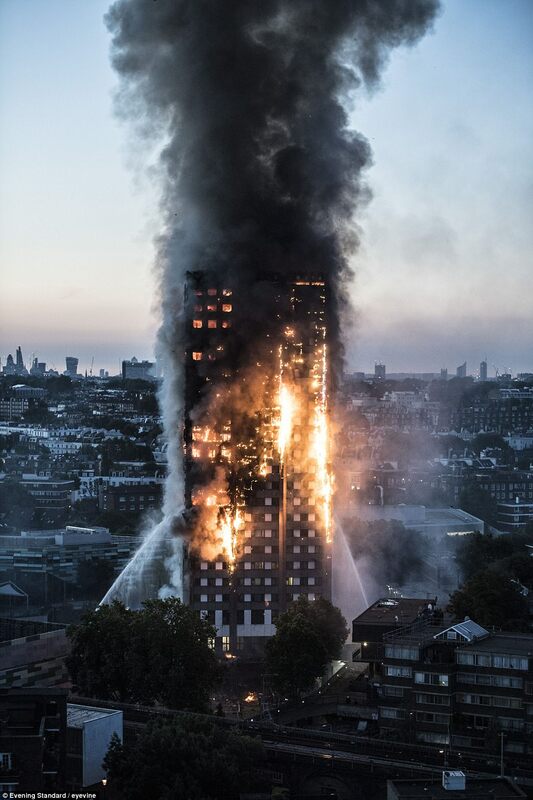 The inferno lit up the night sky and spewed black smoke from the windows of the Grenfell Tower in North Kensington. 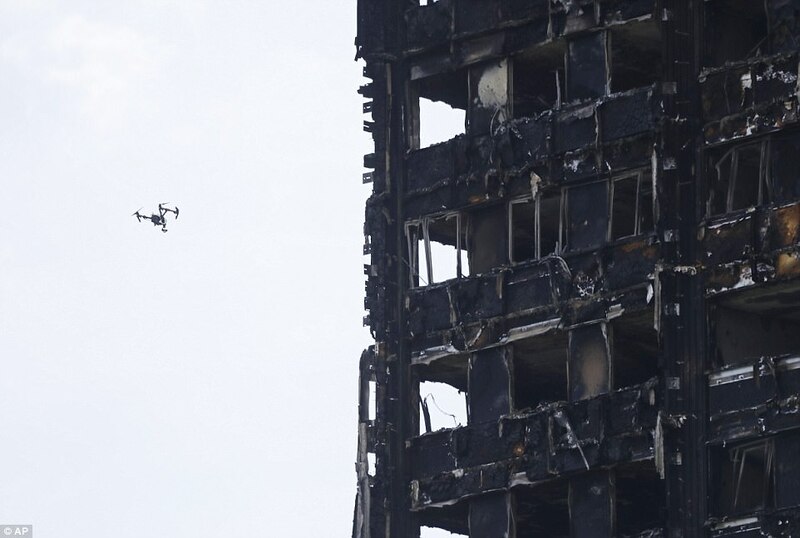 A plume of smoke stretched for miles across the sky after dawn, revealing the blackened, flame-licked wreckage of the building, which was still burning over 12 hours later. 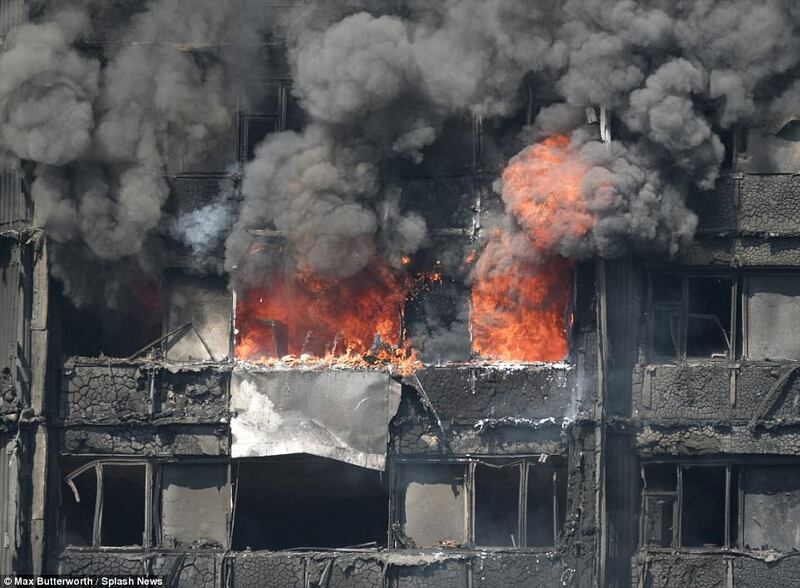 Daily Mail reports that a community leader working to locate victims, who asked not to be named, believes nobody who lived on the top three residential floors survived and the building could collapse in the next 24 hours. 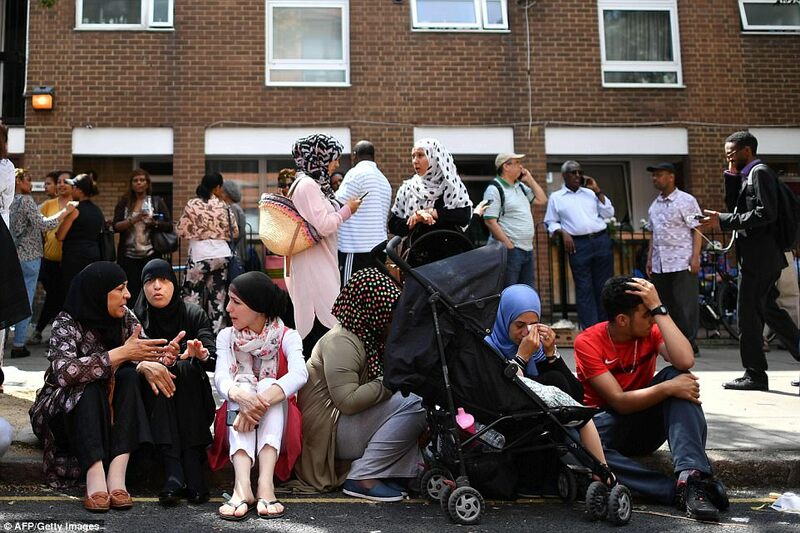 He said: ‘We have a list of missing people – there are so many. It’s possible there are more than 50, possibly hundreds’. 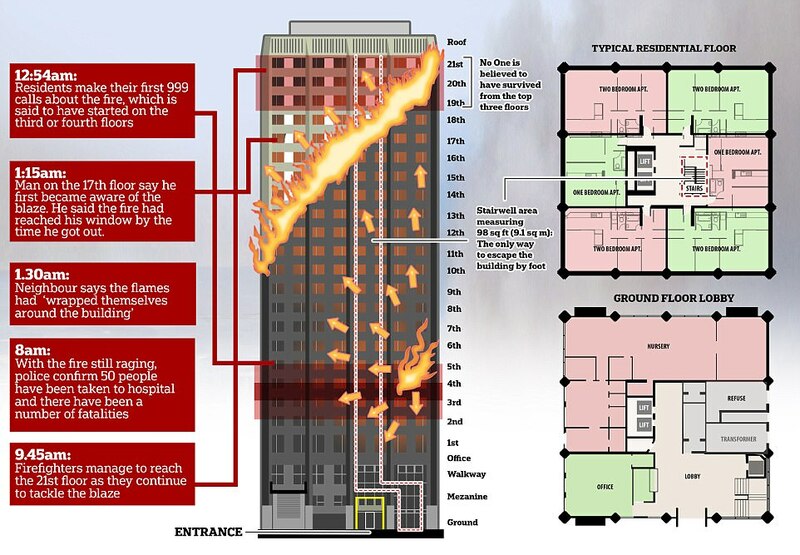 Those who managed to flee said it was ‘like hell on earth’ inside as they scrambled over dead bodies and claimed there was no working fire alarm, sprinklers failed and the only staircase out was blocked. 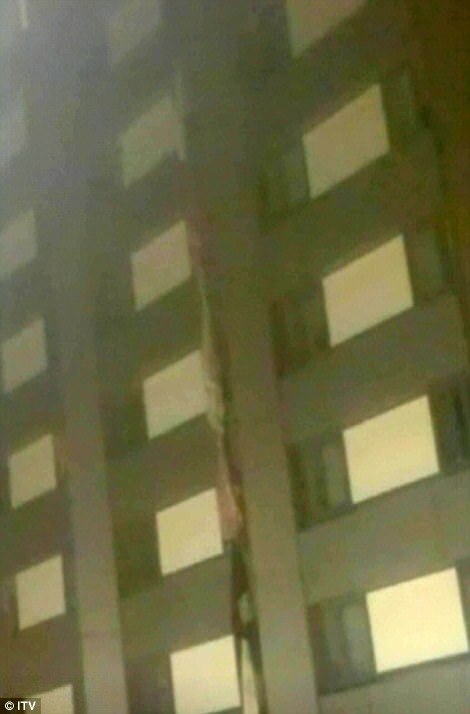 At the height of the blaze petrified residents were seen throwing themselves and their children out of windows to avoid being burned to death – others made ropes by tying bed sheets together or used them as makeshift parachutes and jumped. 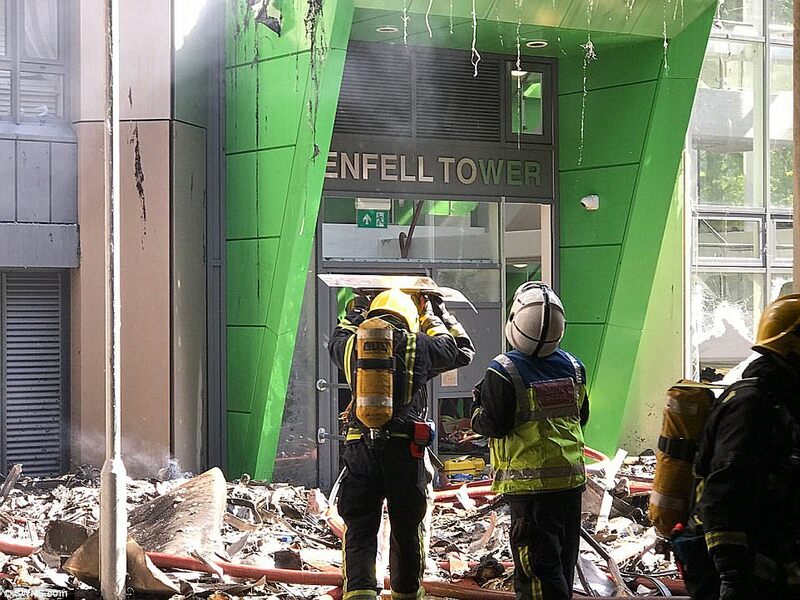 The local council, the block’s landlord and the contractor used to refurbish the building last year face serious questions about how the fire took hold so quickly in a tower branded a ‘death trap’ by survivors. 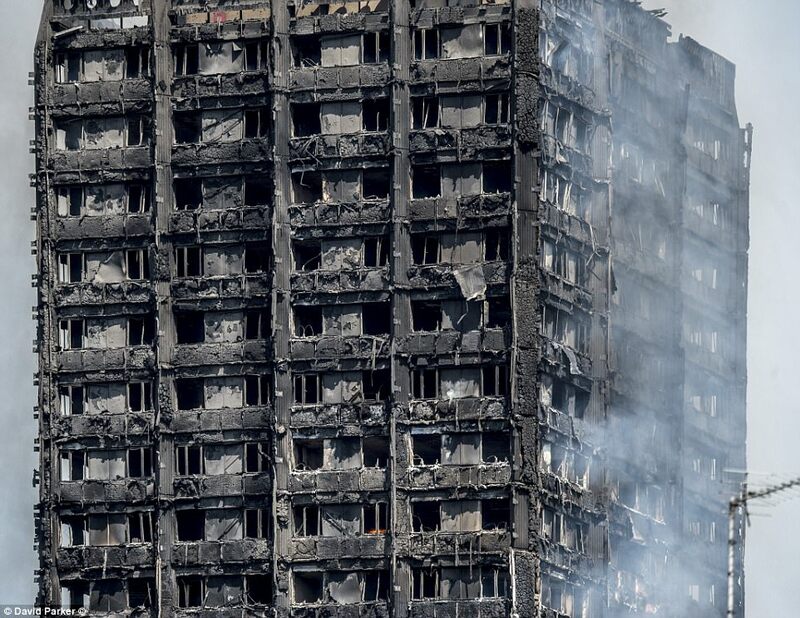 Police have said it is not possible to confirm how many people are unaccounted for because the building is still on fire more than 12 hours after it started. 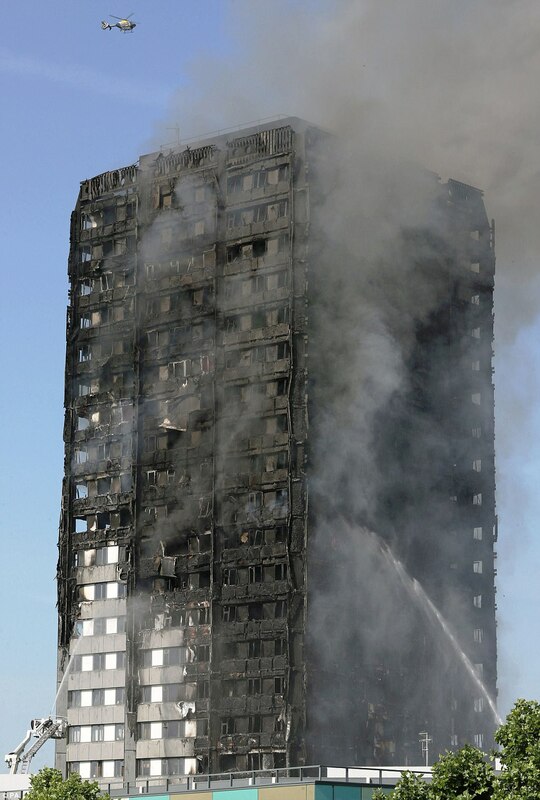 The 27-storey Grenfell building, which was built in 1974 but refurbished last year, has an average of six flats per floor lived in by council tenants and a smaller number of private owners or tenants. 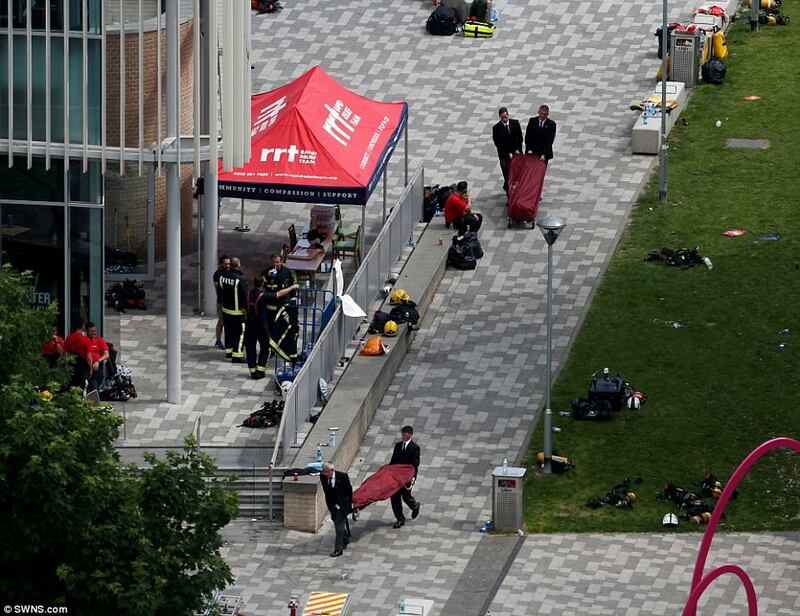 A spokesman said: ‘It is too early to speculate what caused the fire and contributed to its spread. We will co-operate fully with all the relevant authorities in order to ascertain the cause of this tragedy. 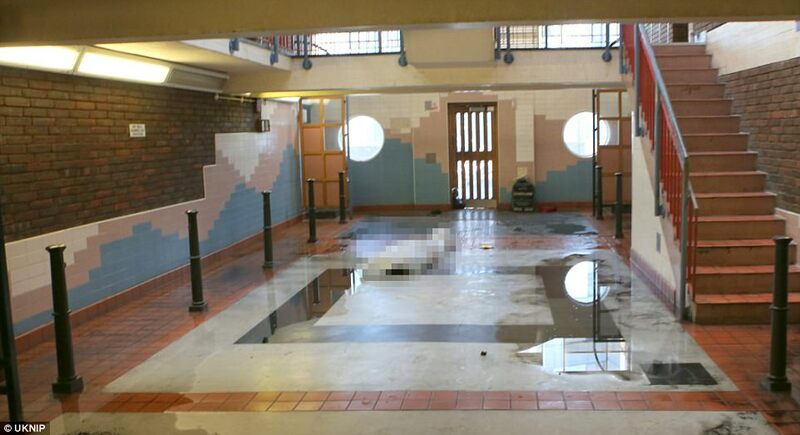 ‘We are aware that concerns have been raised historically by residents. We always take all concerns seriously and these will form part of our forthcoming investigations. While these investigations continue with our co-operation, our core priority at the moment is our residents’.